At Venster, we tailor design the window and door of your choice with precision and expertise. Our experts discuss and understand your need, following which they suggest you the product that would best fit your requirement. Along with the style of your preference – casement, sliding, folding, or something special, we also give you the flexibility to customize your windows and doors right from the scratch to finish. At Aparna Venster, we give you the option to not just choose the textures of your lamination but also the colour of your profile. You can choose to go for the bold black, edgy blue, or elegant white as per the décor of your home. Elegant, royal, or elite, there are textures that fit everyone’s requirements. Aparna Venster offers a wide range of natural textures and colours to complement your home’s visual aesthetics. Lamination is done with German foil & hot melt PU adhesive. Take your pick of a natural wood finish: Golden Oak, Walnut, Rustic Oak, Dark Oak or Mahogany. You can always choose to stick with the popular and pristine white. At Venster, you can choose from the various glass options available and select the one right for your space. Tinted glass along with adding an aesthetic appeal to your space also filters the sunlight and keeps your home cool at all times. 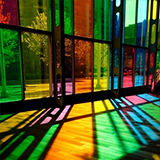 Laminated glass is made by bonding two or more glass with one or multiple layers of polyvinylbutyral (PVB). 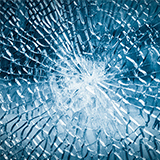 Laminated glass is the best available option if you are looking for enhanced safety. 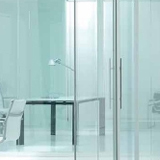 One of the most popular and multipurpose glass options, clear glass, as the name suggests, provides a clear view inside as well as outside. Also, you can customize the glass with the thickness of your choice. 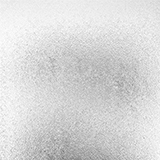 Single glazing includes just one single layer of glass. In double glazing, two layers of glass are sealed together with an air space left in between the two for better thermal performance. 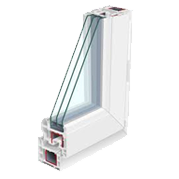 Triple glazing refers to three layers of glass sealed together with an air space left in between the three layers for better thermal performance. 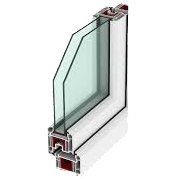 Depending on your need and preference, you can choose the glass with the glazing of your choice. 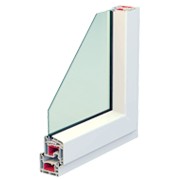 Fiber glass is widely used as a mesh material in the windows. Fiber glass is a popular choice since it does not corrode, dent, rust or unravel. It is affordable and easy to install. 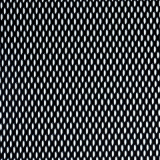 Stainless steel mesh is very strong and durable and it offers clear visibility to the outside world. 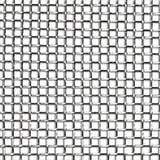 Stainless steel mesh is apt if you are looking for improved ventilation. Also, on the plus side, the stainless steel mesh is free of corrosion and rust. The most suitable mesh option if you have pets in your home, the pet resistant mesh is strong and heavy in built, hence resistant to the tear and damage caused by the pets. 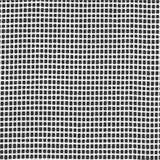 Although very sturdy, this mesh blocks visibility – a point to consider before installing it in your space. Contrary to the installation of the grill in traditional home windows, Venster comes with an option to fix the grill on the uPVC frame itself. You can customize your windows and doors with your design of the grill. All our uPVC windows and doors give you the option of complementing the windows and doors with the hardware of your choice. Right from clean and modern to stylish and smooth to operate, you can customize the handles and locks on the basis of your need and reference.